Welcome to the first Grenfell Family History e-newsletter. The newsletter is aimed at those who have a close interest or connection to the Grenfell family and will highlight changes and updates to the Grenfell Family History website, focus on new research and contain other useful snippets of information. Whilst I hope you find the newsletter informative and interesting you may decide that you'd prefer not to receive these updates in which case you can unsubscribe by using the link below. So, with the pre-amble out of the way let me tell you about the latest updates on the site and some interesting news concerning a War Memorial webpage. For the past few months our thoughts have been on commemorating the start of the First World War in August 1914 and celebration of Victory in Europe in May 1945. With this in mind I have added a specific page to the site (in the Military section) which currently contains 13 names. It would be an honour to receive additional information about other Grenfells who died in the conflicts that I can add to this page. Staying on the memorial theme, two other interesting pieces of information I’ve discovered that you may not be aware of. Firstly in 2014 a CD was launched by Laura Rossi called Voices of Remembrance on which Ralph Fiennes read the poem ‘Into Battle’ by Julian Grenfell And secondly, this year, a ceremony took place in Guildford, Surrey, England on April 24th to lay a plaque in memory of Captain Francis Grenfell VC at which 28 family members were present. Also with wartime connections I’ve added a biography for the late Commander ‘Eddie’ Grenfell RN who led the campaign for the award of a specific medal for those who served in the Arctic convoys during World War ll. 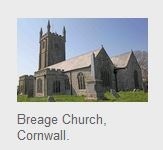 New pages have been added for the Cornish parishes of Breage, Camborne, Gwinnear, Lelant and St Day and baptism, marriage and burial records for them and for the parishes of Gwennap, Paul, Pendeen, Penryn, St Buryan, St Just in Penwith and Zennor. A section was added for Obituaries and the descendants of Richard Grenfell & Wilmot Bone were added to the Family Trees. I hope you found this first edition of the newsletter interesting and informative and if you have any feedback - good or bad, or wish to contribute to future newsletters please let me know. Copyright © 2015 Grenfell Family History, All rights reserved. You are receiving this email as you have expressed an interest in the Grenfell family. If you no longer want to receive the newsletter, you can unsubscribe using the link above.